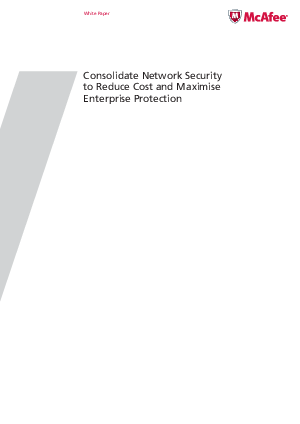 Learn how McAfee Network Security Platform helps you minimize project costs and disruption to your production environment through consolidation. There is no doubt that network security consolidation can deliver cost and security benefits and should be a key part of any organisation’s strategy. However, there are also many hidden costs associated with re-engineering your security infrastructure that may erode some, if not all, of the potential savings. This paper addresses the top key considerations and offers multiple approaches.